I feel greatly honoured to have been invited to this conference and to have been asked to be Guest Speaker. I know there are worthier retirees regionally and continentally who would have been more deserving. So I thank you profoundly for your consideration. 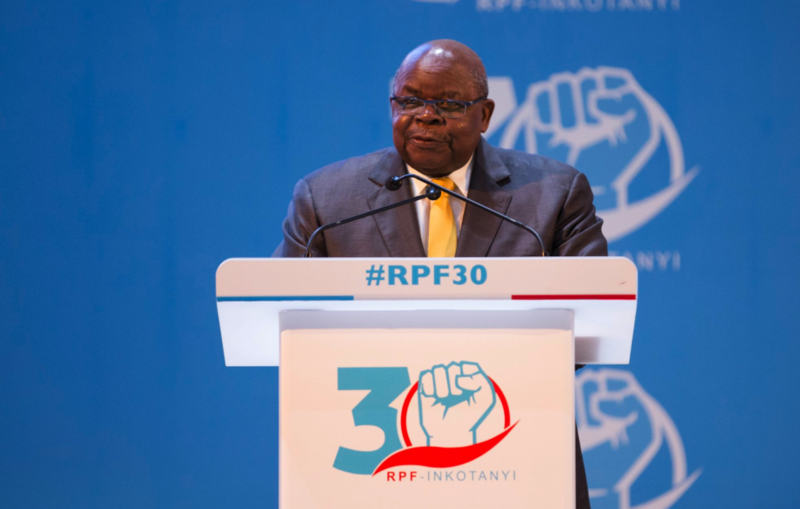 The RPF is celebrating the landmark age of 30. The CCM, of which I was Chairman for 10 years, has observed 40 years. Both parties can be rightly credited with being Liberation Parties. But it was liberation under different circumstances. The founding parties TANU and the ASP secured liberation from British Colonial rule to form the CCM. The RPF fought and secured liberation from a despicable genocidal regime in an independent Rwanda. Both sought to establish Unity, Equality and Development for their citizens and to put an end to all forms of discrimination on the basis of race, ethnicity, colour and faith, with results which are widely acknowledged and acclaimed. Rwanda is to-day a developing country which is a model of how to put an end to genocidal hatred and ethnic division. It is acknowledged as a model of constructing national Unity from ethnic diversity. It is applauded for practically eliminating poverty, for modernizing the life of all, repeat all its citizens, in equality and dignity. It is recognise3d as a growing hub of regional trade and ICT development. It is commended for much more in both the developing and the so-called developed world. To achieve all these plaudits demands that we must ascribe it to the nationalism, the spirit of forgiveness, spirit of brotherhood and hard work of the citizens. However, great success is the crown of good Leadership. 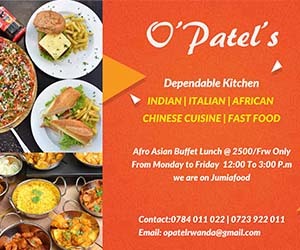 We say in Swahili: Usione vinaelea, vimeundwa! If you see a vehicle floating it is because it has been designed and constructed. The exemplary achievements are owing to the leadership of President Paul Kagame. He is the conceptual architect, the designer, the inspirer, the implementer, the supervisor, the reviewer, the projector, and the accountable depositor of this remarkable accomplishment. In congratulating the RPF we must exceptionally congratulate and thank President Kagame for his Nationalism, his Pan-Africanism and his Leadership. Mr. President you deserve and have earned the respect of your citizens, the citizens of the East African Region and of Africa. Thank you. For the most the liberation of most African countries was achieved by political agitation organized by political parties. The campaigns were rooted in the people and carried out by the people and led by selfless leaders, and the movement for freedom was very inclusive in aspirations. Even where armed struggle was resorted to, the liberation forces were supported, openly or clandestinely, by the general population. At independence there emerged the ruling parties and leaders who saw the status as providing an opening for self-enrichment at the expense of the people. They downgraded the necessity of unity and non-discrimination. They constituted themselves a new ruling class, abetted and upheld by east-while colonial powers. They immersed themselves in group and ethnic politics to the point of fratricidal exchanges. In these instances they turned Independence into a door not to national self-determination but to partisan self-aggrandisement. Both the RPF and CCM have avoided this. Our leaders are not compradors rulers. They are servant leaders. Their people cherish their unity, equal opportunity and justice, development for all and national stability. Those Principles and goals are enshrined in the Party and National Constitutions. These are pre-requisites for national self-respect and international esteem. African countries have witnessed two generations of independence. We have witnessed a range of political, economic and social transformations. On the political front we have seen a series of political coup d’états in a number of countries. But today we are proud to state that the over-whelming majority of African governments are civilian and democratically elected in multi-party elections. On the economic front many of them are asserting ownership of their natural resources. On the social front African people are affirming their cultural roots, in song, print and art. The resonant them is that “Africa is Rising”. I believe strongly, strengthened by my governance experience, which kind of successful transformation depends greatly on the political framework. It’s determined by the philosophy and operating rules of political parties. They can destabilize the state, the society and the factors of resource ownership. To achieve development, political parties must needs define and agree on a National Vision to the realization of which they commit themselves. Regardless of the strategy they must not undermine national and the rule of Law. The process must be all inclusive; the manning of the party structure must reflect this inclusivity especially regarding the inclusion of Women and Youth. Under my Presidency and CCM Party Leadership I got the country to adopt Vision 2025. The process of formulating it was very inclusive; it included people from all political parties, civil societies, labour unions, women associations, youth organizations and religious leaders. Originating from the Government it was adopted by a multi-party Parliament. Implementation has been pursued by two successive administrations, and has thus proven to be a key to political-economic-social stability in the nation. Such inclusivity must govern not just the decision of the development policy. It must cover the process of arriving at major national decisions. Most important of these is the National Constitution. Independence constitutions were constructed by or with the Colonial Power, and often in their political and cultural image. Not surprisingly they proved to be recipes for political instability. Subsequently, as a result of popular cry or popular agitation of earthquake proportions the search for people centered constitutions was embarked upon. The RPF and CCM have travelled on this route. In Rwanda’s case it let to extensive popular consideration and parliamentary adoption of the present one. The Tanzania Draft Constitution, has unfortunately stalled, because the Parliamentary process had to stop because the life of the 10th Parliament ceased. I am confident the Constitution making process will resume. The point I want to make is that our two countries have demonstrated the best path to follow in constitution making, rooting both process and content in the people, their history and their aspirations, and affirming the imperative of self-development, self-determination and self-reliance. The founding President of independent Ghana and early agent of African independence from colonialism stated at the dawn of his country’s freedom from colonial rule: “The independence of Ghana is meaningless unless it is linked to the independence of the whole African continent”. My own Party’s Constitution asserts as its members first belief: All human beings are equal and Africa is One. Two important imperatives proceed from these Beliefs. The first is a call for partnership and cooperation between independent African Countries. The second is a call for economic integration. The call for African continental cooperation was planted and sprouted in the founding of the OAU which played a considerable role in the total political liberation of the continent. This in turn evolved into the African Union, expected to drive the faster all round integration of African Countries. The African Union adopted 3 years ago, Agenda 2063 as the Charter and Road Map of African’s political, economic, social and cultural transformation. These are too early days to evaluate the implementation of Agenda 2063. The dynamism for Pan-African cooperation is however more manifest in the spirit of regional cooperation. Regional Associations for transformation are manifest – from the SADC to the EAC, ECOWAS and the Maghreb Union in North Africa. They mostly seek to harmonise their countries’ security and defence as well as to promote regional trade and investment. Progress on these fronts depends on the will of constituting members. The resolution of the election crisis in the Gambia by ECOWAS was swift and unequival. It is a demonstration that regional unity and cooperation is a Power. And one must pay tribute to ECOWAS Leaders. On the other hand we have the Burundi Crisis which the EAC have committed to help solve. I am a facilitator of that commitment, but I must concede that in this instance the spirit is deficient; a case of the spirit being willing and the flesh being weak! The EAC, in my view holds great promise, the member countries sharing a common colonial history, geographical proximity and considerable cultural affirmity. Its nucleus was the British ruled territories of Kenya, Tanzania and Uganda, which shared monetary, communication, harbours and development Research Institutions. As independence they formed the EAC as the heartbeat of thriving and expected all round integration. Unfortunately narrow national selfish interests and personalities took over and their strategy for break-up succeeded in 1974. The advantage of population numbers, plentifulness of resources and the plea for integration was thwarted. Happily the error was thrust back on the development agenda of these countries by successor leaders. The flame of regional cooperation was lit. The institutions of cooperation were redesigned to be instruments of Integration. The EAC was reborn. Membership was expanded, in due course to include the Republics of Rwanda, Burundi and South Sudan. I am gratified that this rediscovery of the power of cooperation in the region took place in my Presidency. It envisages growth into an East African Federation and Monetary Union. This may look like a daunting and ambitions goal, but I believe it cannot be lightly dismissed. I look to our newest members to shock us into awareness of the current trends of globalization and so-called word economic transformation. The immediate past Chief Executive of the expanded EAC, Dr. Sezibera was a Rwandan citizen. He did an outstanding job of strengthening its formative institutions and riveting the attention of leaders to the challenge, strategy and factors for fast tracking EA integration and multi-faceted development. I salute and thank him. I venture to say that the pace of regional and ultimately Pan-African integration is slow for three reasons. The first is a leadership which is imbued with self-aggrandizement fuelled by excessive nationalism. The second is the failure to accept that cooperation demands a give and take readiness. The third is the influence that regional groupings elsewhere in the world such as the European Union or Mercosur on our development perspective. In the first case leaders fear a diminution of their power – and wealth in a new framework of political and economic governance. In the second, it is the drive to limit the degree of national sacrifice for a larger constellation of dividends in an enlarged framework of development. And thirdly is the failure to realize that the regional political and economic groupings of the developed world are a product of the exploitation, over centuries, of the resources of present day developing countries. African countries have no global territories to colonize. They can organize themselves, in unison, to self-develop. They need to evolve a development matrix of development and cooperation on their own. Regional Cooperation/Integration is thus an instrument for accelerating the development of individual member states simultaneously enabling them to negotiate more favourably the terms of their inescaple participation in a World Order dominated by the European and American architects. It should also serve to free us to construct our own model of Development. President Kagame’s statement to European and foreign inquisitors that “We are what we are” should stimulate us to proclaim our identity. I am not arguing for summary rejection of Foreign influence. Rather I am make the case for an African renaissance. In our understanding of growth, the parameters of transformation and the distinctness of our Identity in the new World Order. When Rwanda deployed its traditional gachacha justice system it exemplified revolutionary pragmatism. Whatever the complexion of the political profile in our countries – dominant party or strongly multi-party – the Youth must accorded representation. As must be the Women. As a matter of Right but because these groups are destined to be the hardest hit victims of political instability and social strife. The saga of the Arab spring early this decade is sufficient testimony. In my country’s Parliament there is provision for special Women Seats, and in the CCM constitution there is special provision for seats for women and youth. Because political parties basically seek popular power to form Government and govern the country, it is necessary, in the necessary, in the interest of national stability, that in their constitutions and election manifestos, they reflect the national Ethos. This imperative is often ignored or underrated during elections in multi-party Africa countries. But even where the playing field is open political conduct must not disturb peace and stability. It must respect the Law. Because where there is instability, there can be no development: investments, both local and foreign are scared, production is stalled, markets are shriveled and incomes declined. Such civic education must go side by side with Transformation. So what is Development Transformation which we in Africa earnestly should seek? It has many faces and phases; from Poverty Eradication to Industrialization. I believe the paramount step is the elimination of hunger, ignorance and disease. When these afflictions and oppressions are ended we will have begun the journey of Transformation and sustainable Development. At the first international conference I attended as President, Aid for Development, or Development Assistance was on the Agenda. I made this point. For a developing country, when a citizen/county is food full up he can think and execute measures for food sustainability, seek water for nutrition, and rarely require health attention. When a citizen is health insured, he can concentrate on food self-sufficiency projects. When the citizen is knowledgeable, he will know how to ward all these pestilences. I argued for these aid priorities; I don’t think I was taken seriously. A few years ago at a conference here in Kigali I praised the RPF leadership and government policy on people’s development. I said because of its achievements in universal education, universal health care, universal food self-sufficiency, Rwanda was more developed than some of the old developed countries. I was surprised to see how extensively my observation was tweeted on the Internet. I was surprised because I thought I had stated the obvious. Development must be people centered and liberating inclusively! Otherwise it will not be sustainable. An important condition for successful transformation is education for Self-reliance. We are quick to assert our independence, but too often we reveal an addiction to Eurocentric thought, values and way of life. We exhibit the bond of the way of doing things and constructing development plans with the eyes of our former colonial masters and present day developed countries. Thus, as Ghana’s President Nana Akenfo Ado said two weeks ago, at the back of the Africa-Europe Conference in Ivory Coast, we have a mindset of dependence, that foreign aid will drive development. No it will not. Self-reliance will. Self-reliance on our minds, our muscles and our resources. Yes we can do it. We need to rid ourselves of the mindset of developmental dependence. There is a saying in Swahili: Favours enslave!! What does liberation and development require of us going forward? Accept the reality of history past destiny: Africa is 54 independent African Countries. But work for the lively realization that fundamentally we are Africans in designated geographical territories. If I recall properly I remember President Kagame him saying that he is an African who happens to be in Rwanda. We must then be propelled to cement this inter-territorial Africanism in all spheres political, economic, social and cultural. Plead incessantly, proactively for Integration – beginning with the Region. We must equally ardently strive to lay the foundation blocks of a United Africa. We must strive to persuade the nation states of Africa to surrender, progressively, some of their sovereignty, political, economic and social for a greater entity, a united, dynamic African Union, denouncing genocide on the continent and the wider world, pressing for a review of the global economic architecture so that it releases more equitable outcomes.